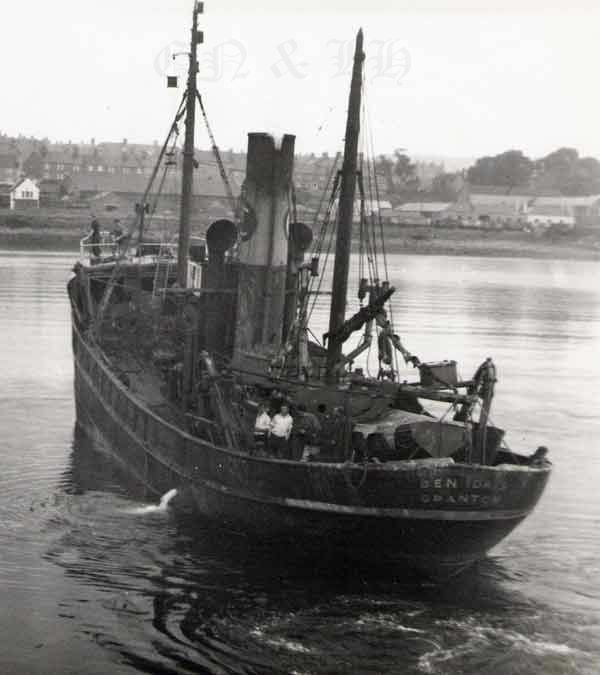 15.02.1933 Owned by Richard Irvin & Sons Ltd, North Shields (Sir John Hannel Irvin, K.B.E. Aberdeen manager). 1939 Requisitioned as an Examination Vessel (P.No. FY1766) and based on the Tyne. 18.04.1941 Collided with and sank Armed Patrol Vessel HMD “Young Ernie” YH 55 (88g /1924) off Tynemouth. 06.03.1942 Owned by Carnie & Gibb Ltd, Granton Edinburgh (William Carnie Jnr manager). 11.08.1945 North Shields registry closed. 08.1945 Registered at Granton GN 7. Pre1960 Owned by Inch Fishing Co Ltd, Granton Edinburgh. 11.1961 Sold as scrap to BISCO (British Iron & Steel Co) for £2750.